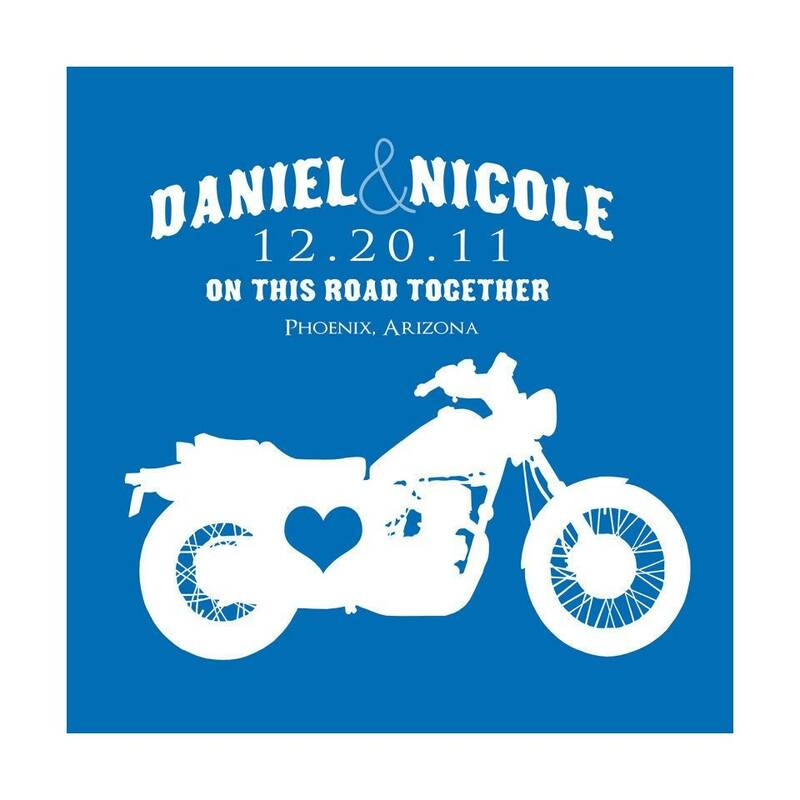 A Motorcycle with a heart sits below the milestone of your choice! 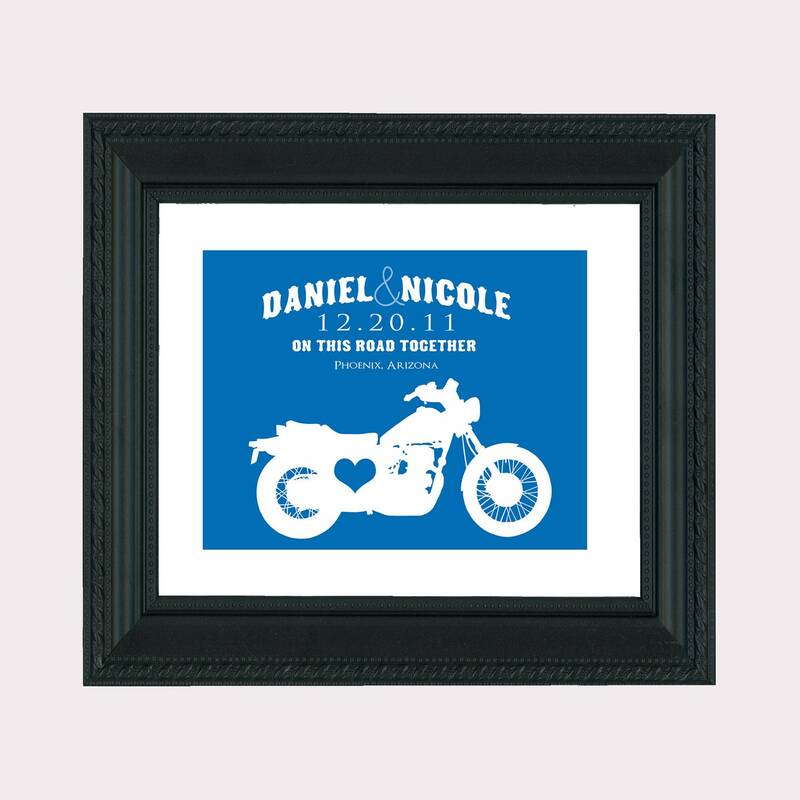 Weddings, Honeymoons, Engagements, First Date Location, Birth, Adoption, Location of Family Reunion or just an event that warms the heart, this print will always remind you or your loved ones of this special celebration. 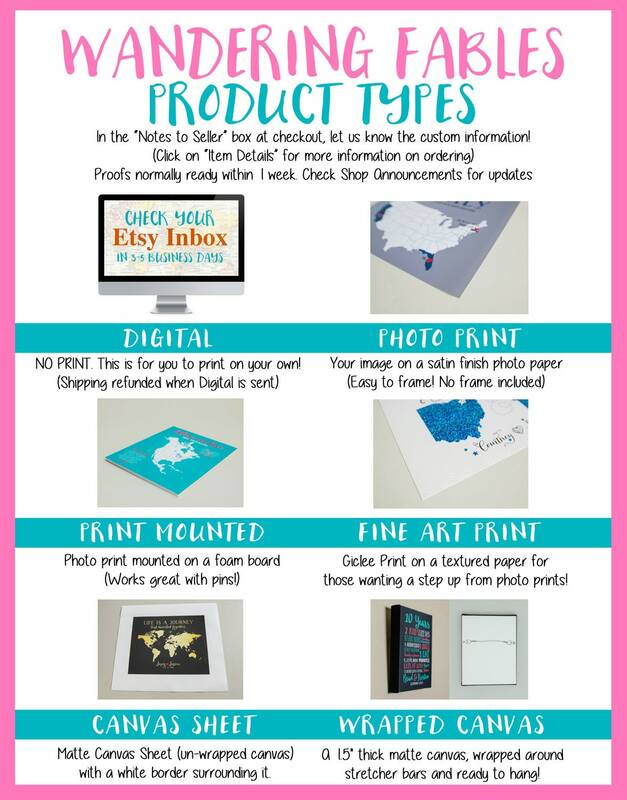 Print will be customized to suit your needs. Choose your color! 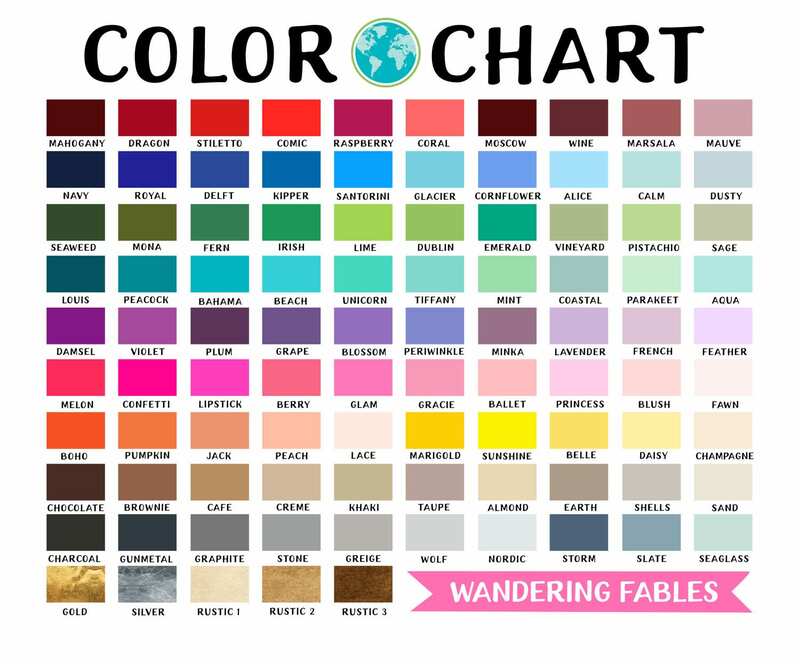 See examples of colors in Image 2, this is just a list of examples, any color will work! - Choose a color for the Print background. The example image shown in this listing was created with the color “Sparkle". - Names you would like to appear on this print. Last names can be included but may alter the design.